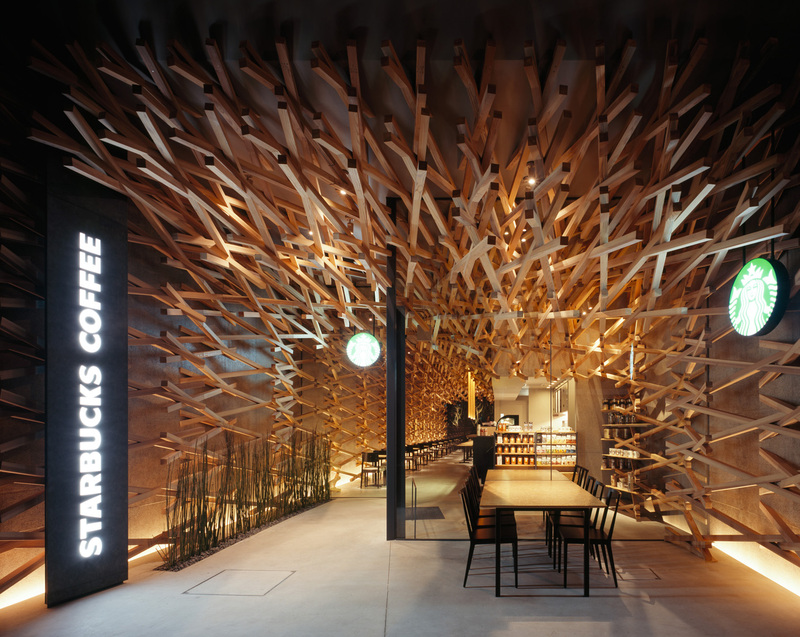 This Starbucks Coffee shop is situated on the main approach for the Dazaifu Tenmangu Shrine in Omotesando. 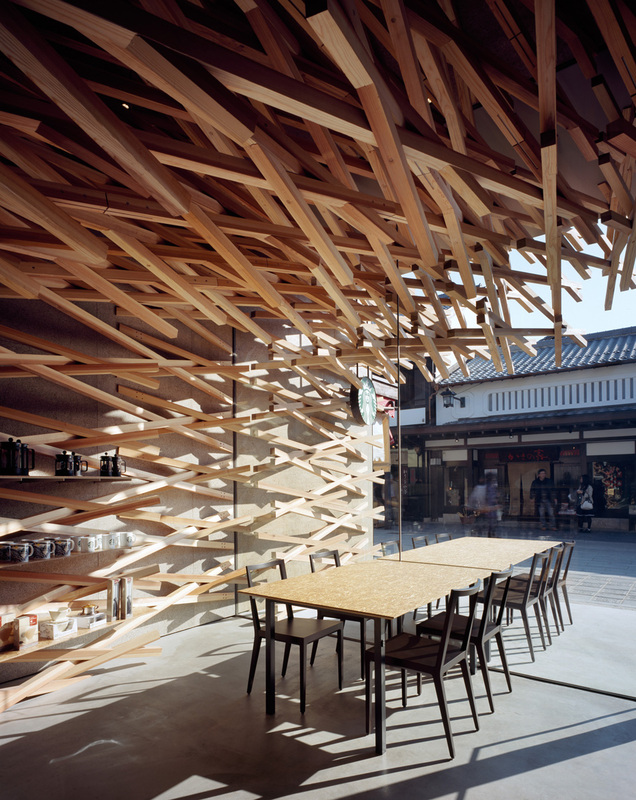 As a consideration for the long thin site with a width of 7.5m and depth of about 40m, small pieces of wood were woven together in order to create organic space that flows like light and wind. 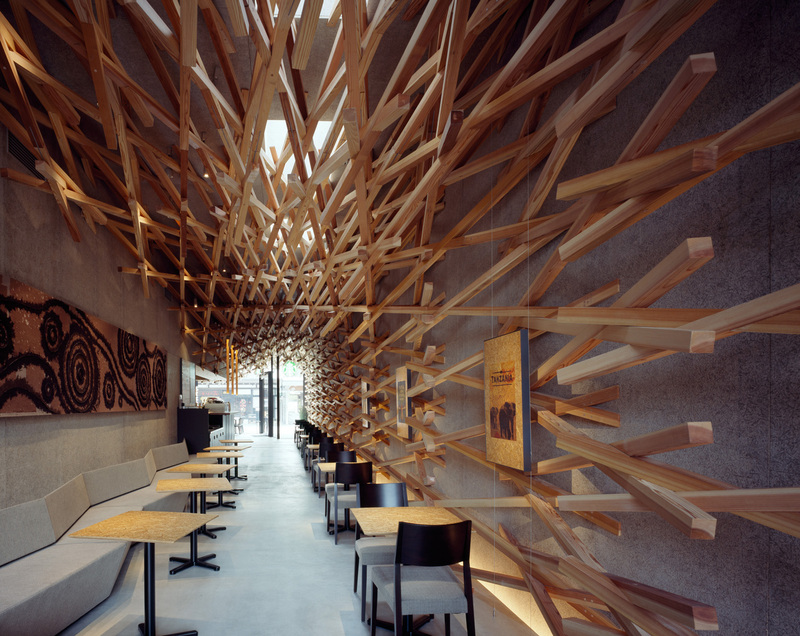 The X-shaped wood framework which covers the interior space was made using approximately 2,000 pieces of cedar ranging in length between 1.3 and 4 meters with a 6cm cross section, and has a total length 4 km. 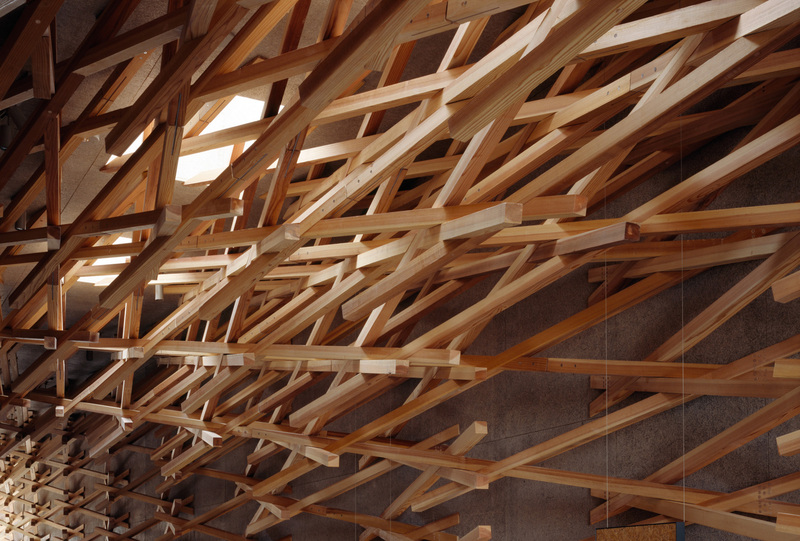 The members were assembled diagonally to support the structure. 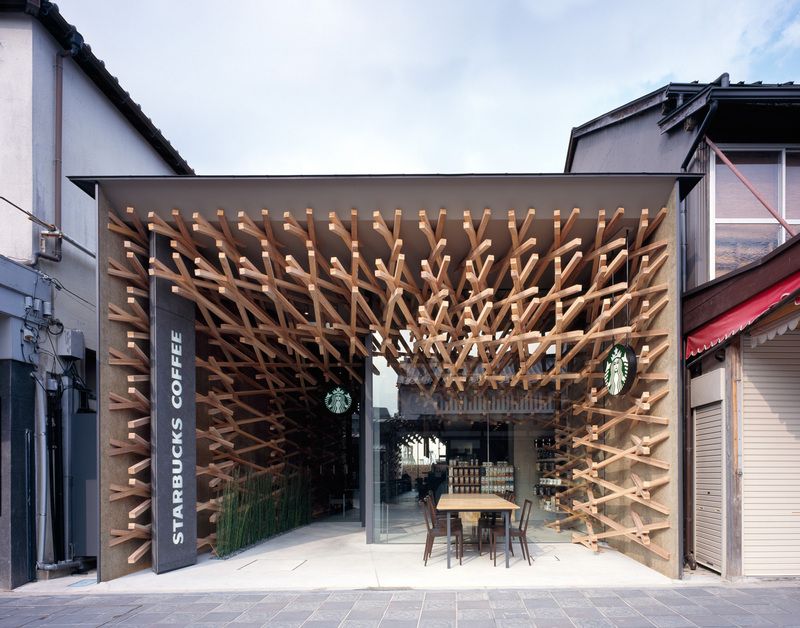 Dowels were inserted at the joints after the overall structure was assembled in order to provide stiffness. 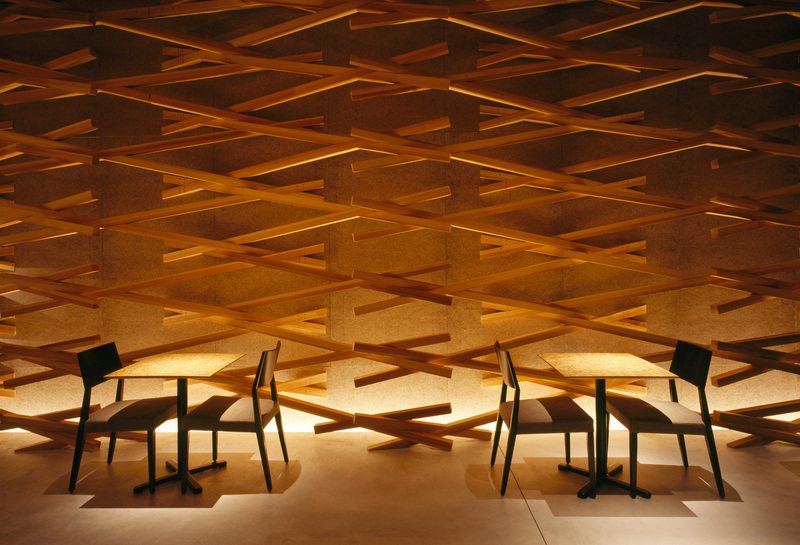 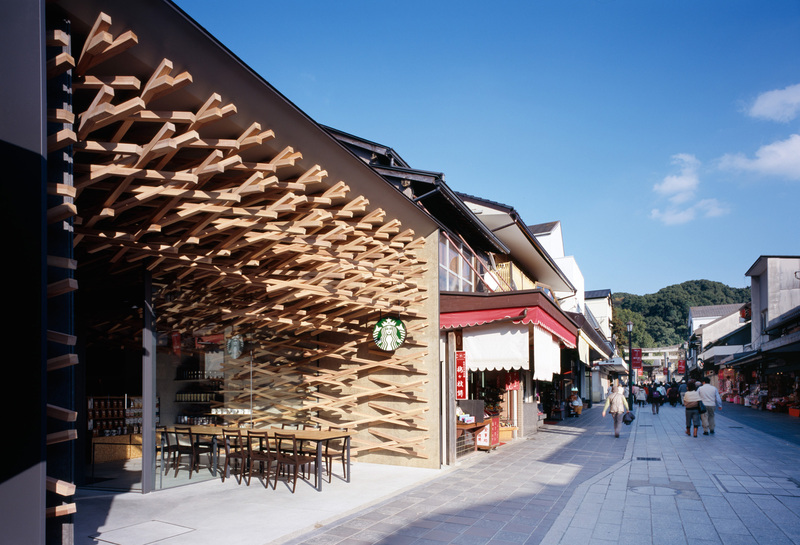 The meeting of contemporary wooden construction technology on a historic site called Dazaifu created a unique space differing from other Starbucks.